The house boasts an updated kitchen with large center island, custom cabinetry, marble counters and back splash, pantry and workstation. Adjacent to the kitchen are the large formal living and dining rooms. A screened in porch provides a great place for summer time meals with the family. Upstairs are 5 large bedrooms and the spacious master bedroom with huge dressing room/ walk-in closet and full bath with large shower. Finished basement with built-in wet bar area, four car garage attached to home with beautiful breezeway. 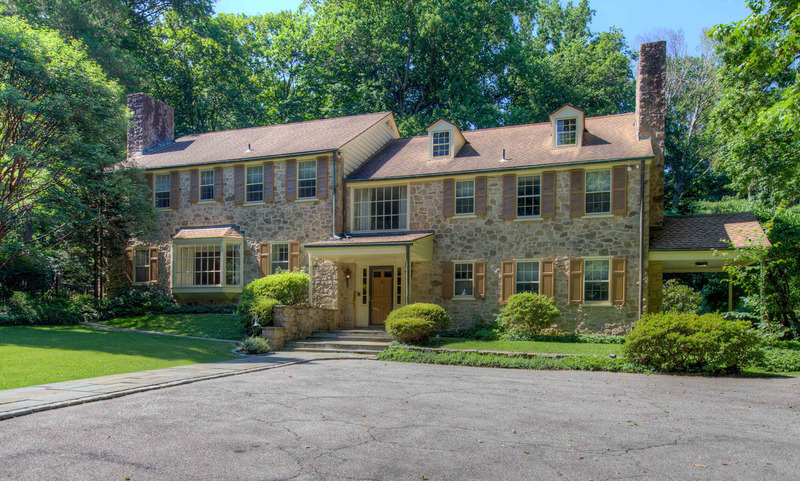 This home is set in a truly peaceful location just steps from the Northwestern end of historic Forbidden Drive and offering exceptional access to both the wonderful amenities of Chestnut Hill and the Wissahickon Valley section of Fairmount Park.